The SC is based on the 1953 Maccaferri G-30 Guitar. The bodies are, in fact, original unreleased G-30 bodies made in 1953, making these guitars 50 year old vintage instruments right out of the box! The buyer has the option of DiMarzio, Duncan, Bartolini, or Gibson pickups and choice of nickel, chrome, or gold hardware. 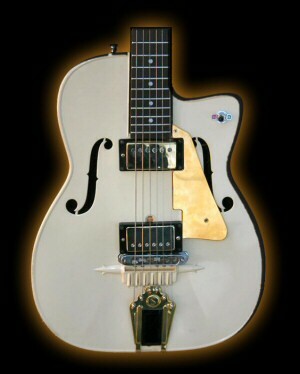 Other options include maple or rosewood fingerboard, maple or mahogany neck, Grover locking tuners, Grover Imperials (pearl or gold keys), Grover banjo style tuners (as found on the Gibson Firebird), custom abalone/mother of pearl headstock and fretboard inlays, tune-o-matic or compensated bridge, microtuner tailpiece, Bigsby vibrato, Gibson P-90 pickups, and choice of custom hardware. All SC models feature a fully adjustable neck angle system found on no other guitar at any price. The SC is also available as a 12 string and a short scale bass. The SC is an extremely limited edition of 75 total instruments. We obtained the last remaining supply of original G-30 bodies and the $350,000 worth of tooling to make the bodies no longer exists. The SC is one of the world's rarest and most exclusive guitars ever produced. 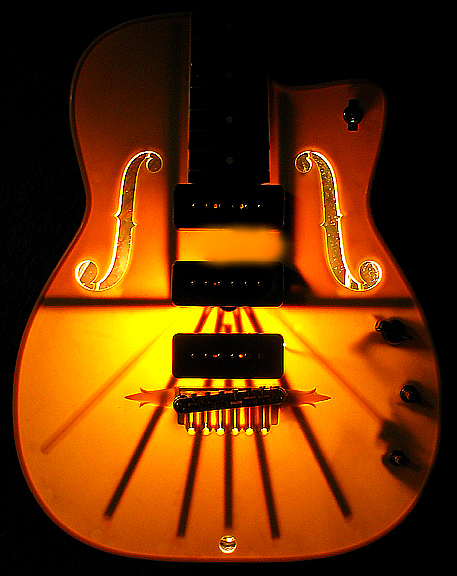 Every guitar will be set up and adjusted by a master luthier and fully tested before shipment. Because of the wide range of options, each individual guitar will be unique. A master registry of ownership will be preserved and owners are asked to notify us if the guitar changes ownership. On request, the SC will be fitted with a microchip that is traceable by law enforcement and makes the guitar virtually impossible to steal and resell. A great deal of time and effort has been made to bring these guitars to the public and it is our fondest wish that the owners will care for them with the pride and love that went into their creation. unless otherwise noted, all contents copyright ©2019 campbell guitars. all rights reserved.